How to find overview and getting started information on Built-in Analytics ? What are the latest developments of the current release 1711 and preview to 1802 ? which will help you to better leverage the built-in analytics offering in BYD. In this article we want to provide a central place with important resources, documents, training materials and blogs for easy access to all relevant assets on built-in analytics. SAP Business ByDesign is a cloud-based ERP solution, which delivers integrated and insight-driven business processes for mid-size companies. Accordingly built-in analytics is a key theme for SAP Business ByDesign and customers get the analytics content as an integrated part of their standard processes out-of-the box. As a result customers get full transparency into all aspects of their business processes. User Interfaces embed analytical insights in the context of your daily work to make better decisions at the right-time in the context of your business processes. 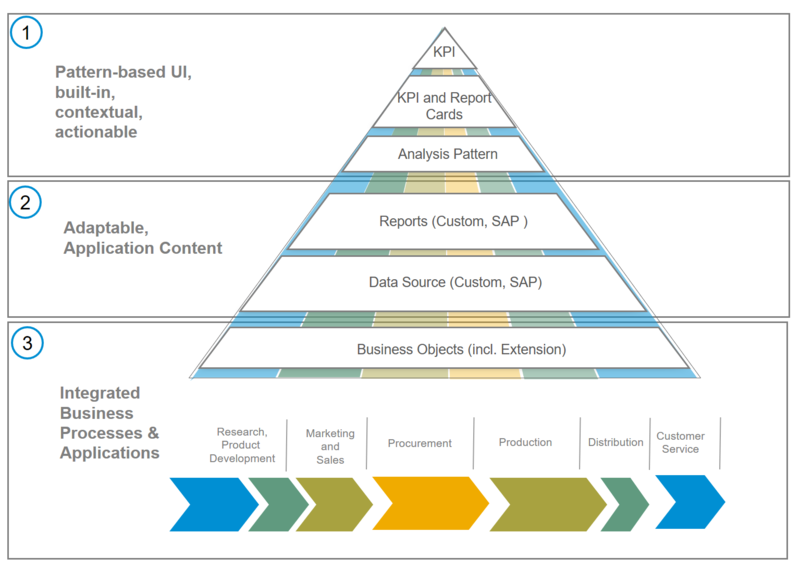 Within SAP Business ByDesign customers use an integrated approach to adapt and extend the business objects and processes. Every adaptation is made available via key user tools for analytical data sources, reports and KPIs. The insights are based on live data and it is ensured that each number can be immediately explained by navigating to the underlying business document. How to create and monitor a KPI? The multidimensional reporting within the Analysis Pattern allows customers to understand the impact of each characteristic and key figure on their business. As part of the HTML5 transition the analysis functions are now rearranged and you will find them easier on the related view, selection and additional filter panes. In the view “Design Data Source” you will now find an improved preview based on the changed analysis pattern in HTML5. In addition, you can benefit from improved documentation on the delivered SAP Content. This allows you to relate each field in the data source to the underlying field in the business object. You have an improved visibility into the calculated key figures. You can get the where-used information, which shows the reuse of these fields in key figures and reports. The current Silverlight solution supports limited KPI monitoring on a fixed number of SAP delivered KPIs. With the new HTML5 client, you can now create your own corporate KPIs based on your company-specific reports, selections and key figures. You can use now the same KPI definition to consume KPIs on the Launch Pad, which you might know from the business in focus IPAD application. A new KPI Detail screen helps you to understand root causes and identify business issues. Business users can personalize and organize their KPIs on the Launch Pad. New caching concepts improve the performance and deliver precalculated KPIs for easy consumption. Current application example from CRM Where can I find a nice demo showing the new UI in 1711 from application perspective? Further leverage HTML5 and simplify analytics UIs for casual users. Execute on the overview page concepts incl. KPI and report cards. In a next step we will extend the overview page under home to all work center overview pages and enable key user adaptation. Custom-built overview pages will become a subsequent step on this path. Reuse of delivered content in custom reporting scenarios is a key area of improvement. Key topics here are improved transparency into existing content, simplifications of key user tools and completion of existing application content. Beyond the built-in analytics scenario the side by side reporting with SAP Analytics Cloud (SAC) , Business Warehouse as well as third party platforms are key. To achieve this we started a new ODATA API in 1802, which will form the basis for future data replication scenarios and improved SAC integration.